Today, feminism is no longer a dirty word, and women purporting to stand up for women's equality now include high-powered names like Beyonce, Taylor Swift, and Emma Watson. Hip underwear lines sell granny pants with 'feminist' emblazoned on the back. In every bookstore, there are scores of seductive feminist how-to business guides telling women how to achieve 'it all.' Meanwhile, access to abortion clinics is growing ever more difficult for many women across the country, and Arizona has passed a law requiring doctors to tell women undergoing an abortive procedure about a junk science method of 'reversing' abortion espoused by the Tea Party right. Feminism has gone mainstream, but true equality is never an easy sell. 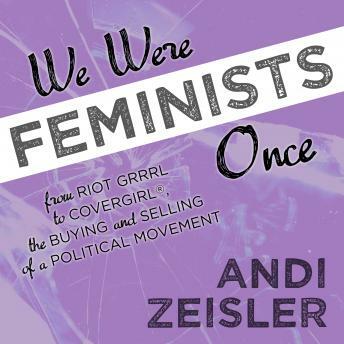 Here Andi Zeisler exposes how feminism has transformed into something barely warranting the name, ignoring the many for the one, shamelessly colluding with market forces and popular culture. Witty and fearless, We Were Feminists Once is the story of how we could have let this happen, and where we go from here.